I first heard of Charlie and Co. when it opened a few years ago in Westfield Sydney. I ordered the classic Charlie burger and the Parmesan & truffle fries. The burger includes a wagyu patty (a good size) and your choice of cheddar, blue or Brie cheese. I chose the Brie and think its a great combination (although as someone who likes blue vein cheese I am interested in trying a burger with it sometime). 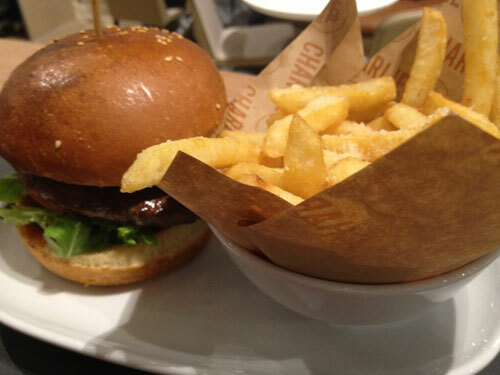 The fries are nice, although the cheese does seem a bit much near the end. PS. I chose to eat it with a knife and fork. Next time I might just use my hands as it will be messy and slightly hard to eat as it is a thick burger.